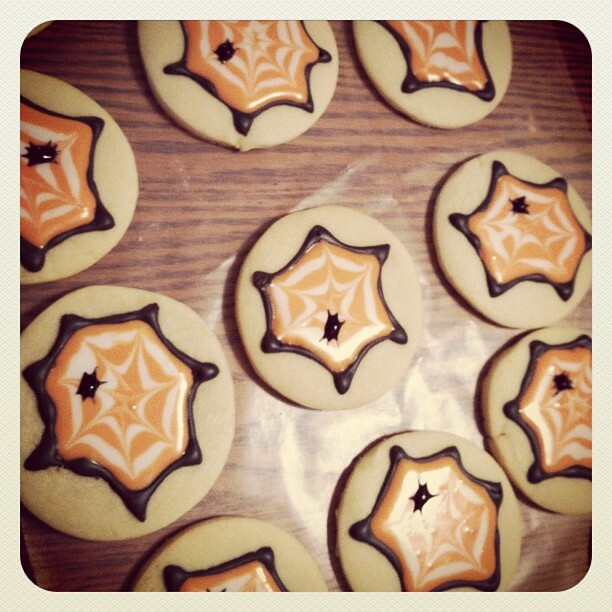 Just stoppin' in to say Happy Halloween! I am running around like crazy today. We started out the day with the kids parade at school and am getting ready to run back for the parties. 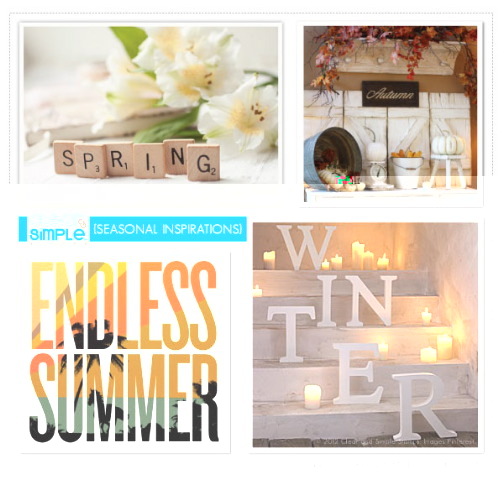 I used some fun things that my sweet friend Audrey sent to me. The new Limeade Ice and a cute little spider web! 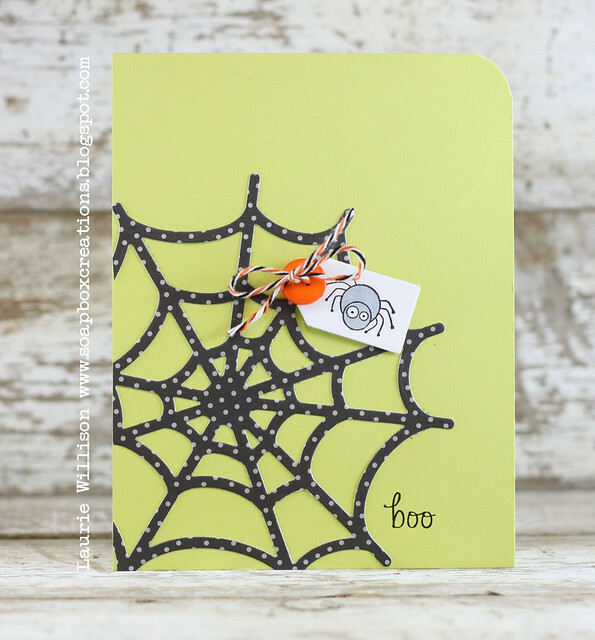 The "boo" sentiment is from Neat and Tangled. Now I am off to the parties! Thanks for stopping in today! 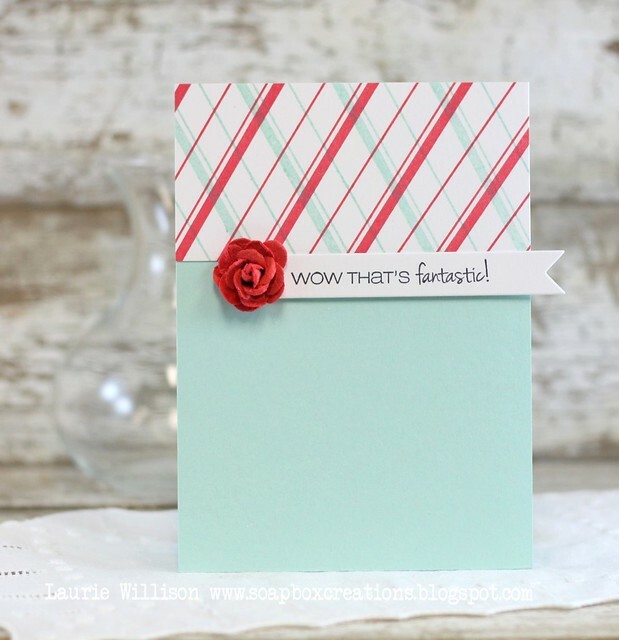 I am thrilled to be joining in on a blog hop today! 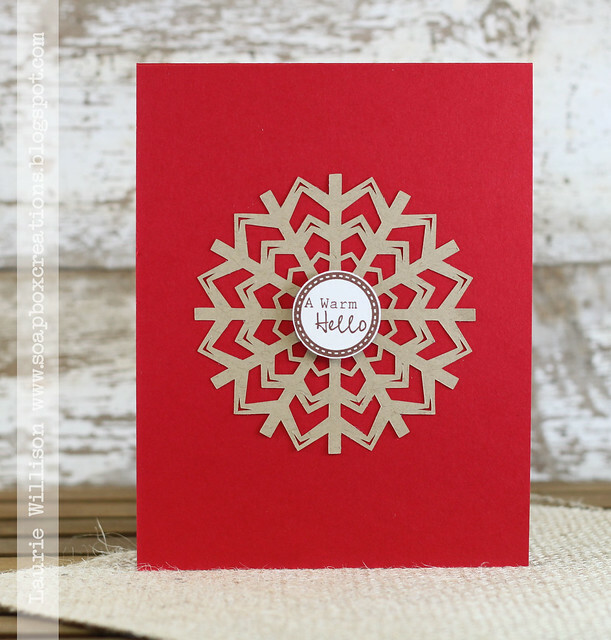 Tami Mayberry has a really fun new set out called Simple Snowflakes. I have a couple cards to share with you today, using this new set. I added some stickles for a little more detail. Aren't those snowflakes so fun? 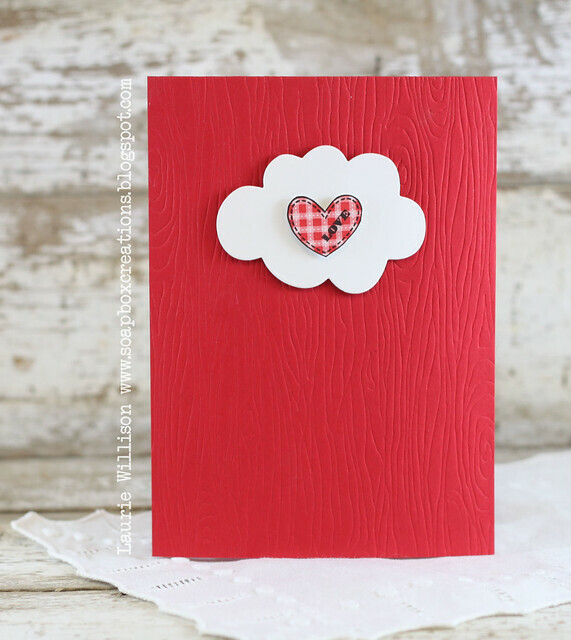 You can see Tami's stamp line HERE. She has lots of fun sets to choose from in rubber and clear stamps. So glad you came by today! Thanks for stopping in! I definitley find myself inspired by pictures lately. They have helped me out of a rut more than once. 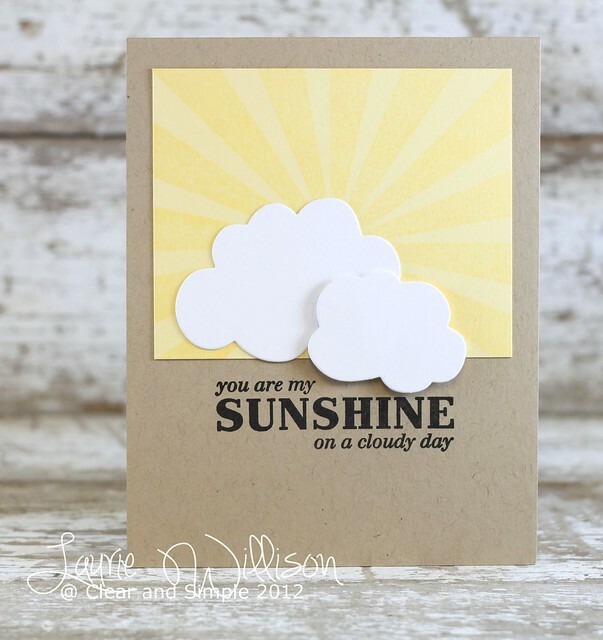 I am here today with a photo inspiration challenge for Clear and Simple Stamps. I used CSS's new Leaflets and the dies to create this card. I added in some Diamond Grid background and a sentiment from Trinket Sentiments. 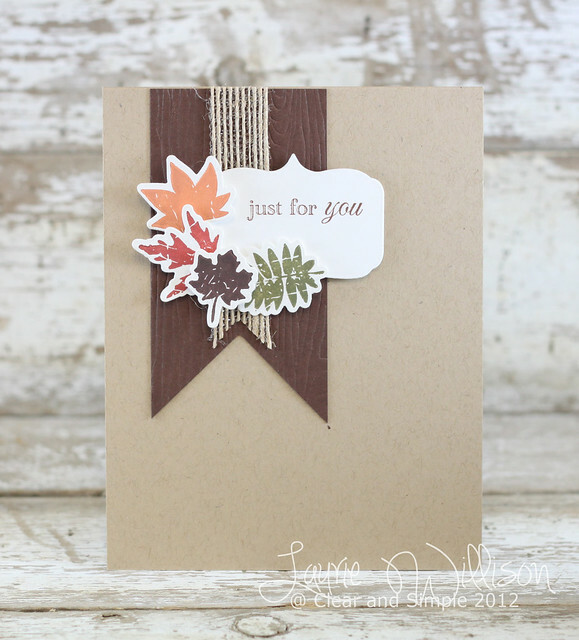 I made a little woodgrain embossed banner and then added some twine ribbon, leaves and a label sentiment for this fall card. Aren't those leaves fun? I love the set and the many different leaf shapes! So glad you could stop in today! Thanks for coming by! I have an email in to a repair shop and I hope to get something figured out today tomorrow! It had to happen on the weekend right? I had just got done taking family pictures for the cutest family....and then home for this photo....and now broken. I hope to be back to regular programming soon! I must run for a box of tissues now. So bummed! I used one of my new FAVORITE sets by Tami Mayberry. You seriously need to see this set. 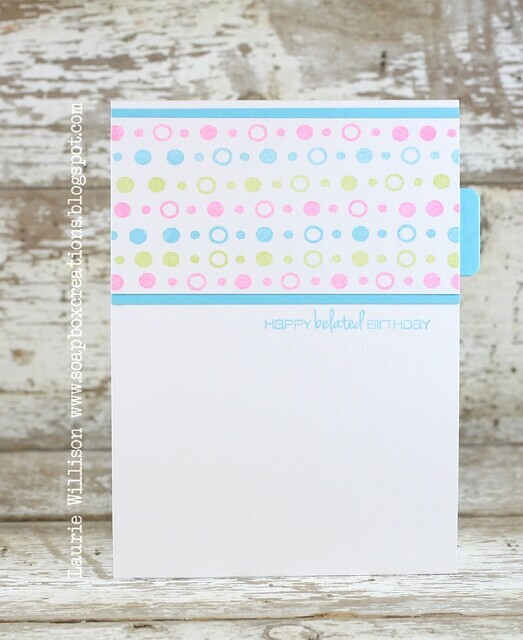 The font is adorable...you know how I am about fonts....and there are TONS of sentiments! You can see the full set HERE. These stamps produce the most amazing images too. Can't wait to see your take on this sketch! Link up over at the Retro Sketches blog. 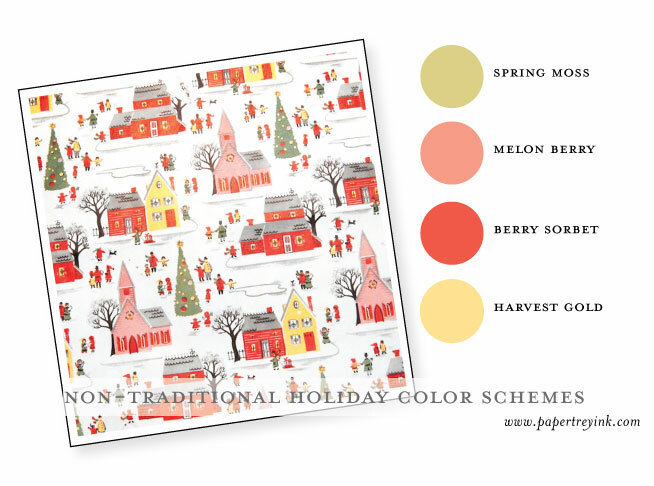 Check out what Arielle, Kasia, Suzanne and Jen have for us too! This sketch could be interpreted so many different ways so I'm excited to see! TGIF, right? It seems like Friday comes so fast anymore! But so does Monday...lol! 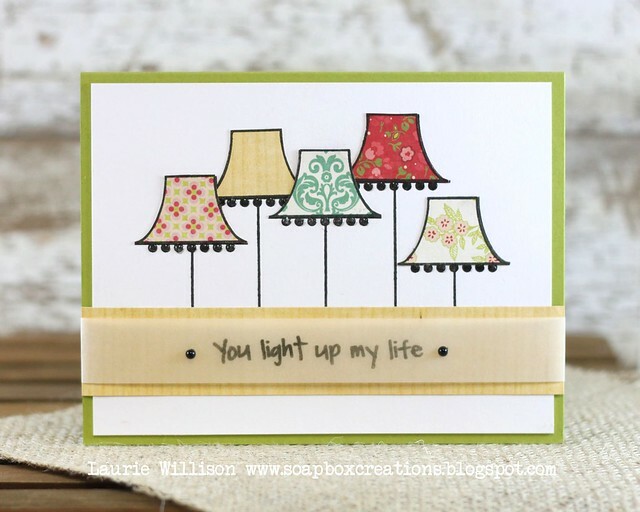 I have a new CAS-ual Fridays challenge for you today....and I am using some CAS-ual Fridays Stamps! This week's challenge is to use kraft in your project. 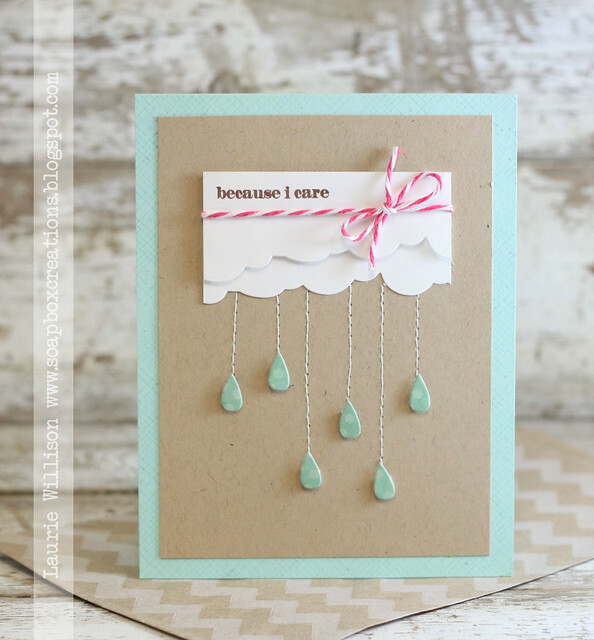 So I whipped up a simple card using my most favorite sentiment.....look at that font...I love fun fonts. 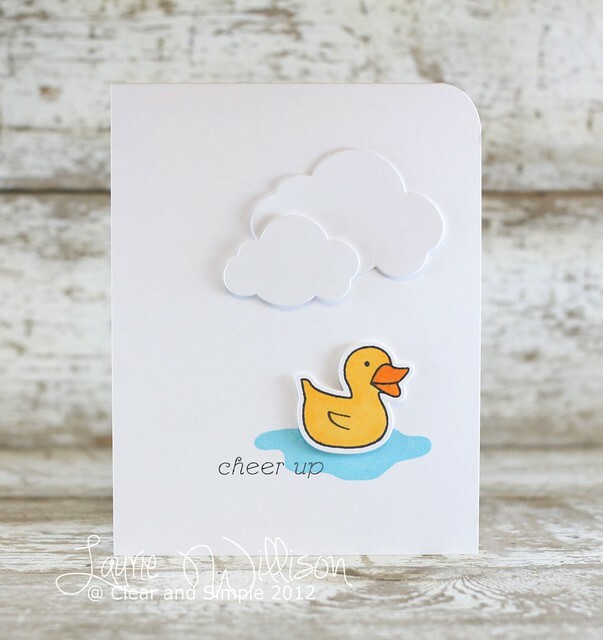 I am always on the look out for sentiment sets that are not your standard font and this is one of them! I layered the sentiment with an element from the same set, Truth Is. Head on over to the CAS-ual Fridays blog to see about this weeks prize. We are also saying goodbye to some Girl Fridays this week. Julie, Steph, Karolyn and Jenny. We are truly going to miss these ladies and their amazing talent.! I hope you can play along! Go check out the CAS(E) this Sketch blog to see all the other sketch cards. Have a great day! I love making Christmas cards, but I never make that many. I always run out of time. 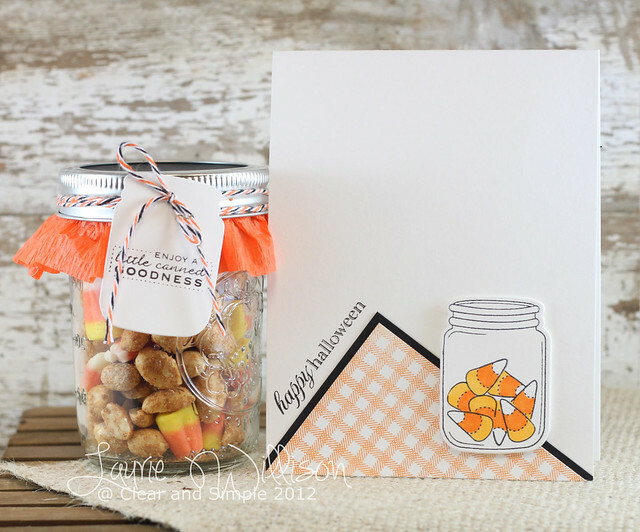 This challenge makes me want to make more! 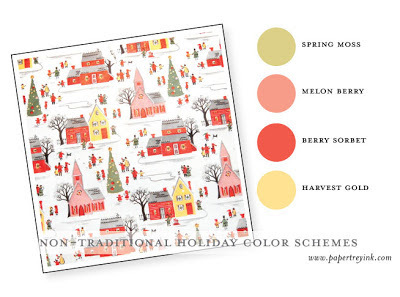 I love the color combos for the PTI Blog hop this month. I picked one that was most definitely a challenge! 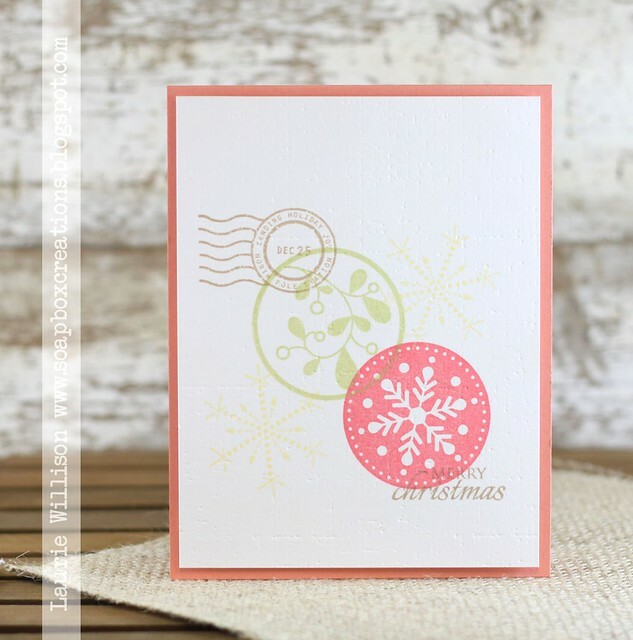 I used PTI 2010 Holiday tags and made a CAS card with just a little stamping involved. I had a hard time with the yellow snowflakes at first, but I've seen it done before....so I went with it! :) Then I ran the whole thing through with the Linen IP...broken record right? I say that last part a lot! Thanks for taking the time to stop in today! Have a great day! 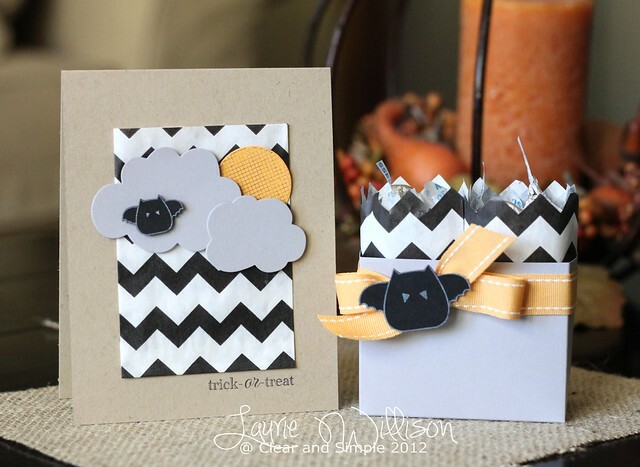 This card is layered with a Chevron treat bag in the background, and then some new cloud die cuts, a moon and a little bat from the Taglines: Critters set. The bag uses Party Favor # . I cut about 1/2" from the top so these little chevron bags would stick up a little. I also cut around the chevrons for a fun little detailed edge. 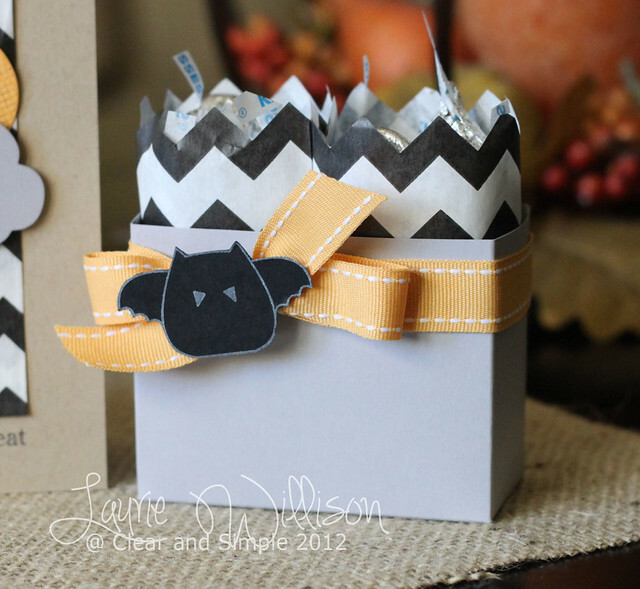 I added a little yellow bow and one more bat! 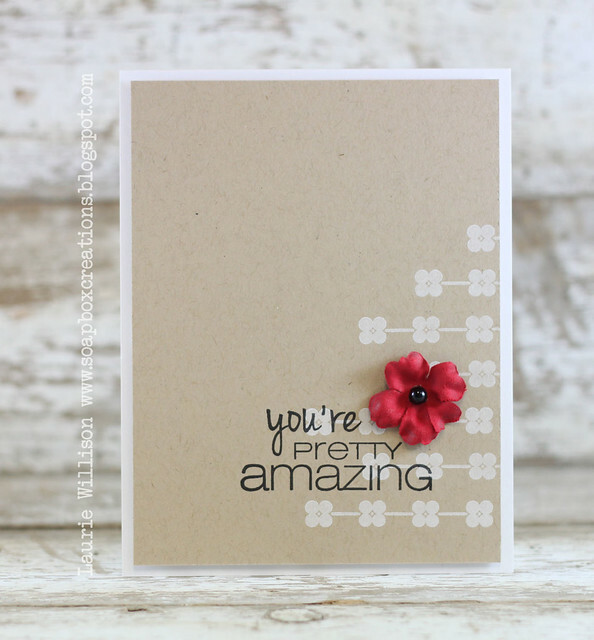 I used A Sweet Life From PTI and then the adorable sentiment and banner from Simon Says Stamps. I love these flowers so much and the banner is a must have for your crafting stash! The sentiment and the font are SO fun too! I added some pearls to the Linen IP'd background and I'm thinking this would be a fun wedding card. Don't you? OK, so on to the CRAZY story! So taking you back at least 2 ish years, I met the sweet Jinny out there in blog land. Of course, what made us click at first was probably the fact that we both live in Kansas. She is about 3 hours or so away, but you know.....us Kansas girls stick together! About a year ago, Amy and I took a trip to KC and we got to meet up with Jinny and Lynn. Jinny made us an amazing meal and we got to meet her family and visit for awhile. Our next stop....Cheesecake Factory...yum!! So over all this time we have kept in touch with the occasional text or email. 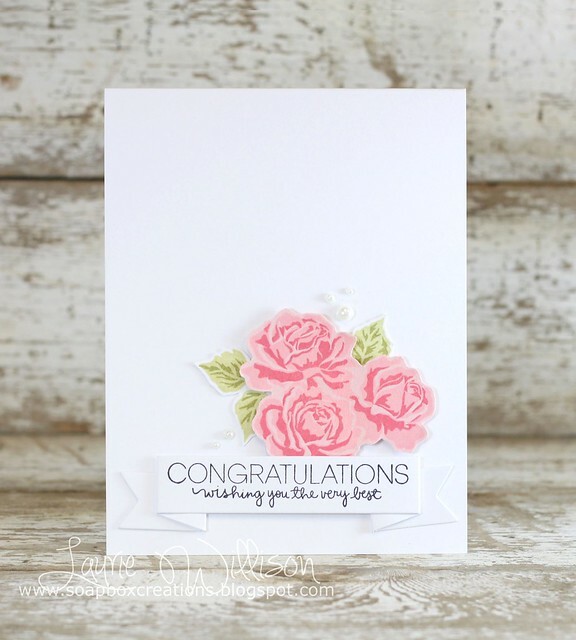 I was so excited to see on her blog this last week that she was headed my direction for a wedding. I told her if she had time, maybe we could quickly meet up. She texted on Saturday and let me know her schedule, so I invited her family out for a short visit on their way out of town. So we are talking about traveling and I said that I used to live in KC and I would travel home every weekend to Mac and she said....well I was born in Mac....and I said really? I lived in Mac when I was little too! I told her my parents went to College there. She said her parents went to school there too and that she had family still there that were in the construction business. I said...well I used to work at a lumber yard in High School so I know a lot of the construction guys. She said the company name and I said "Luke?" Then she said...."Luke is my cousin"....then I said...."Rod is your uncle?!!" By this point I am slightly hyperventilating and I said well who is your dad? Then she says her dads name and I got goose bumps. I was staring at her trying not to freak out and I told her my parents name and then she started freaking out. The point to all this craziness as I am trying to play it out to you as it happened....our parents went to college together and were friends when we were little. I remember them coming to Colorado when we were little, I remember stopping at their house and playing in their basement. I remember getting Christmas card from them. OMG! Jinny and I played together as kids! WHAT? I met her on the internet. But not really...cuz I met her probably 30 + years ago! I am not a fan of my picture being taken...but here we are....me in my wind blown state....I probably had leaves in my hair too...who knows! 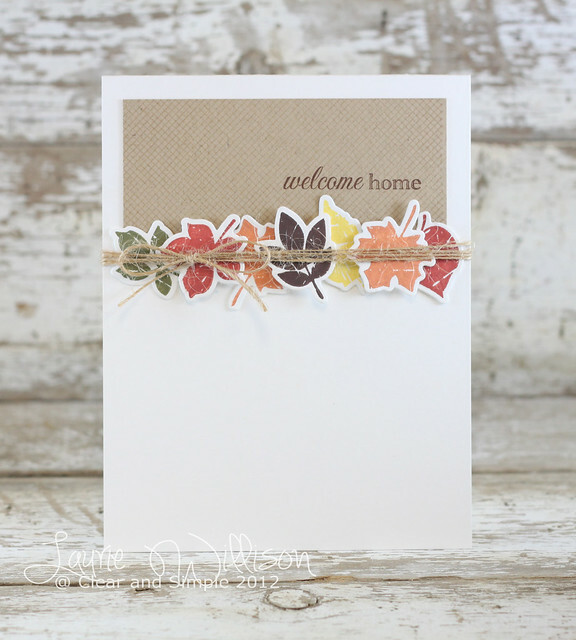 I made a little cut file for this circle stamp, then simply added some twine and a sentiment. Like I said, go check out the other cards! This is a super fun set and there is lots to see! Thanks for stopping in! I hope you get a chance to play along! I can wait to see your take on this sketch! 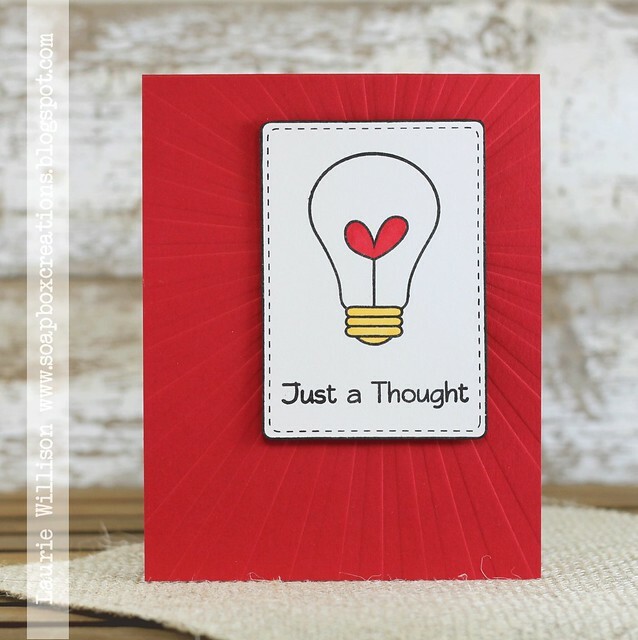 Check out the Retro blog to see the other DT cards. Thanks so much for stopping today! Are you loving this challenge so far? There were SO many amazing cards in the first round! And now we are back with another fun sketch. 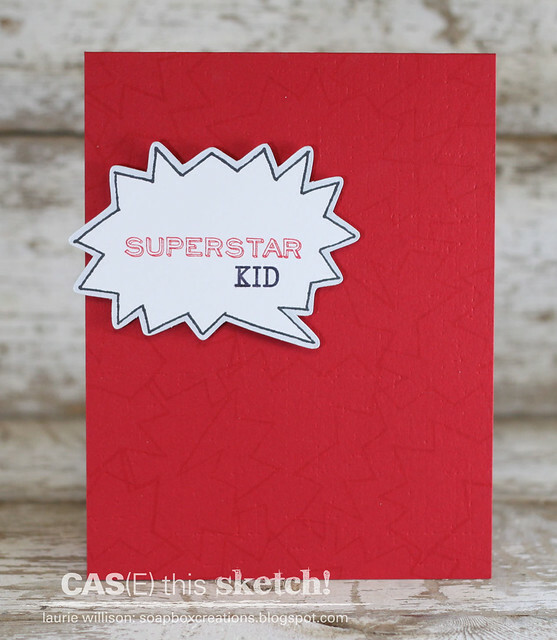 I needed a CAS "kid" card recently so when I saw this sketch, I immediately thought of my sweet friend Steph's set, My Thoughts Exactly. 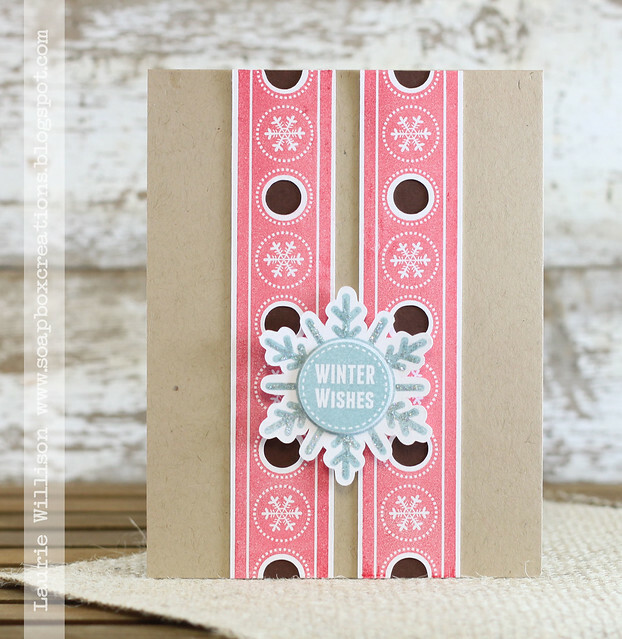 I cut the stamp shape out with my cameo and then stamped the image. I traced around the outside with a gray topic just for a little dimension. 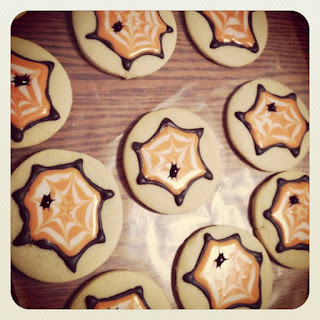 They I stamped the shape all over the background for a crackly look...may be hard to see...but IRL it looks so fun! I hope you can play along! Please stop over to the CAS(E) blog and see what the other DT girls have created! Then link up your creation too! We are all coming back to share a few of our favorite projects from the Collection 5 release. I want to start off by saying Happy Birthday to Nicki, our fearless leader! Nicki is amazingly talented, so helpful and just the sweetest gal! Nicki I hope your birthday is a happy one!! 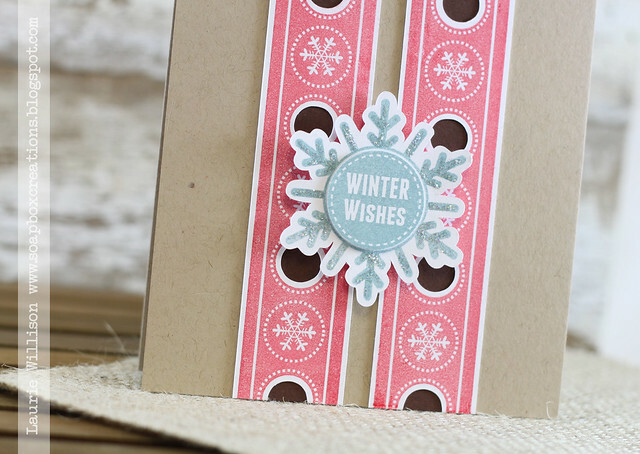 I paired it with some Dear Lizzy patterned paper and the banner die from Favor Flags. 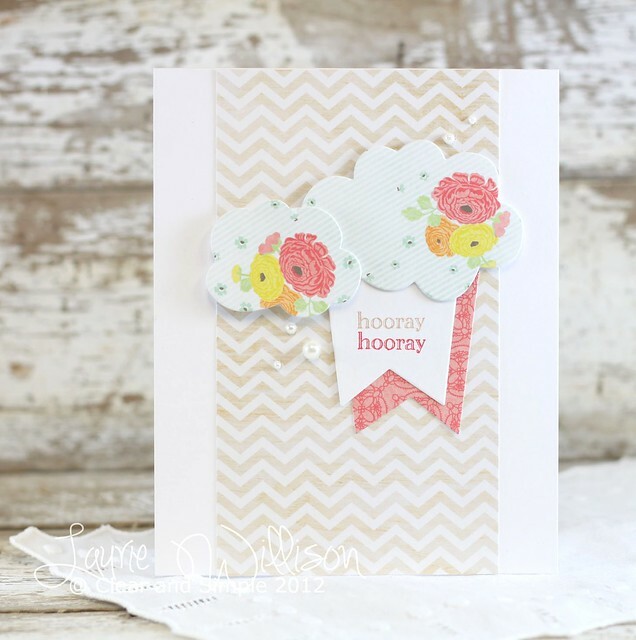 Totally loving that chevron paper!! Here are several of my favorite cards from this latest release. Hope you enjoy! Thank you for all your sweet comments on the release posts and for stopping in today! Hope you have a great day!